Pointcorp is the most renowned Brisbane developer with a vision to create only the best buildings in the most desirable locations around Brisbane. One of its latest developments is Fabric at Teneriffe, Brisbane. Designed with intention and crafted with skill, Fabric takes its cues from near and far. Inspiration has come from the immediate surrounds – the patchwork of neighbouring woolstores and warehouses, and also the successful, sleek city loft conversions of NYC. The aesthetic of this building has been specifically formed to be distinctive, and yet folds naturally into the existing tapestry of its urban landscape. 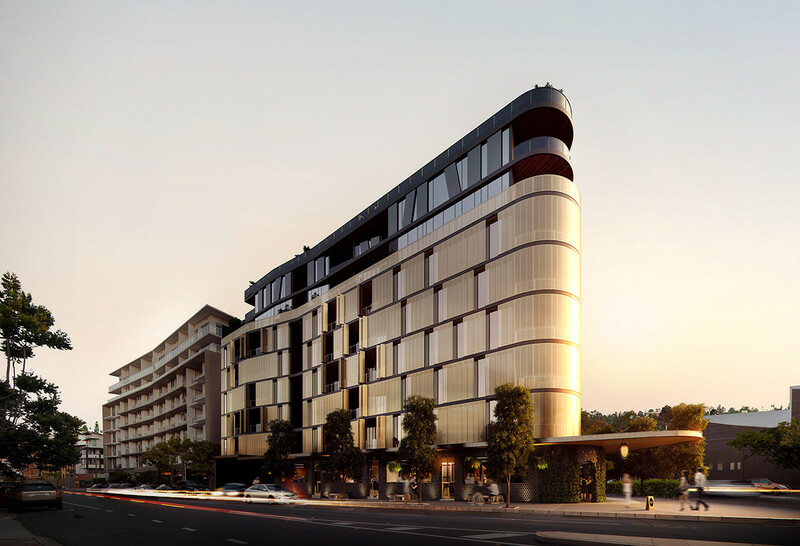 Situated on the sweeping bias of the suburb’s main artery, it’s rare to find a new development with such a premium location in the heart of teneriffe. Yet Fabric is just a brief stroll to the riverfront – the silky water threads throughout Teneriffe’s past and present. The wharf shaped this area: an old naval base and centre of Queensland’s wool trade, dictating the form of the neighbourhood’s industrial heritage and construction. Today, the Brisbane River is still intrinsic: for its ferry terminal and transport links; for cafés with uninterrupted water views; and for exercise – run, jog, ride or simply meander along the boardwalk. Teneriffe is less about glamour, and more about the genuine charm of niche designers and vintage retail; and the intimate, quirky venues around Vernon Street: specialist bars, craft breweries and authentic dining experiences. This is what we love about Pointcorp, each of its development projects always comes with a vision of fulfilling the needs of its surrounding society. Pointcorp’s mission is not merely building residential properties, but more of building lifestyles and providing solutions. This is one among many reasons why we are so passionate to sell any of Pointcorp’s developments. We even remodeled our office’s second floor to showcase Pointcorp’s best developments to date. We are simply embracing the opportunity of nurturing a long-term partnership with Pointcorp.